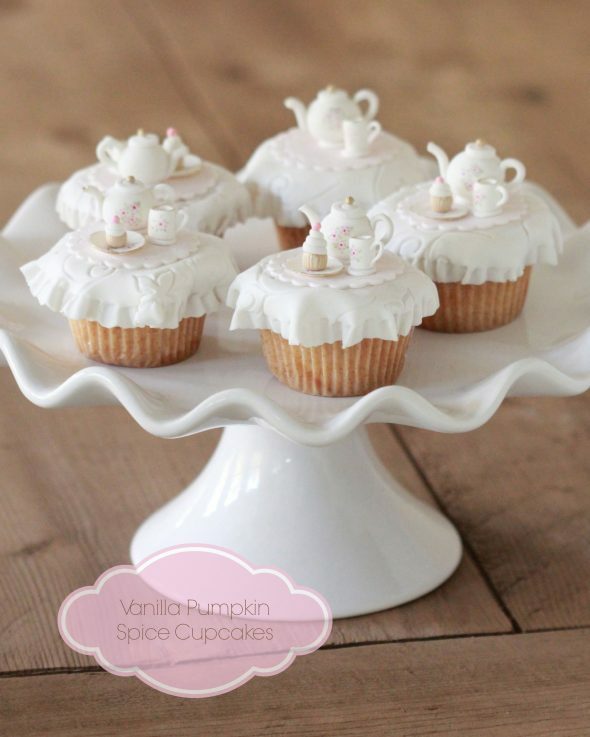 Easy to make and perfect for fall (and a tea party, in this case), I have a twist on my classic vanilla cupcake for you – Vanilla Pumpkin Spice Cupcakes. Add more or less pumpkin spice to your taste and top with vanilla buttercream or icing of your choice. I used vanilla under the fondant tablecloths, but if you’re serving these without covering in fondant, I’m thinking maple cream cheese icing would also be nice. 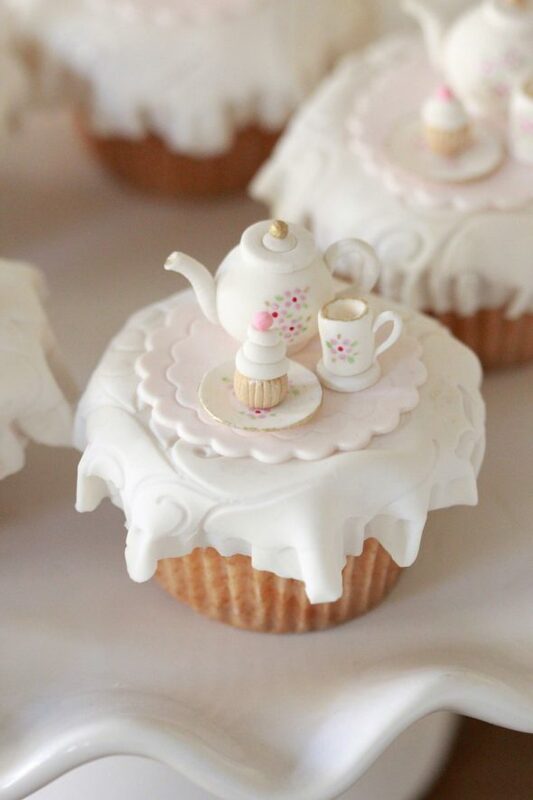 More on how I made the tea party toppers in an upcoming post. Update – Here is the post along with a recipe for marshmallow fondant. Happy baking in the meantime! p.s. If you’re here looking for the Raspberry Ice KitchenAid Mixer Giveaway (I shared the wrong link on Facebook today), here it is! In a mixer bowl fitted with a paddle attachment, beat butter with sugar until light and fluffy (a few minutes). Beat in eggs, one at a time, beating well after each addition. Beat in vanilla and then pumpkin spice. Stir dry mixture into wet (butter) mixture alternately with buttermilk, making 3 additions of dry ingredients and 3 of buttermilk. Using an ice cream scoop or 1/4 cup measurer, scoop batter into a muffin tin lined with cupcake liners. Bake for approximately 15-20 minutes, until cake tester (toothpicks or skewers work well too), inserted in centre comes out clean. Let cool in muffin tins for about 5 minutes, then remove and let cool completely before adding icing. *Note about pumpkin spice - Pumpkin pie spice is generally available in the grocery store. It is an already made mixture of cinnamon, ginger and nutmeg. If you'd like to substitute for this recipe, use 1 1/2 tsp ginger, 1 1/2 tsp cinnamon, and 1/2 tsp nutmeg. These are incredible. Marian, you are so talented! Can I just say these cupcakes took by breath away! So sweet, feminine and simply beautiful! You are a real talent Ms.Marian! 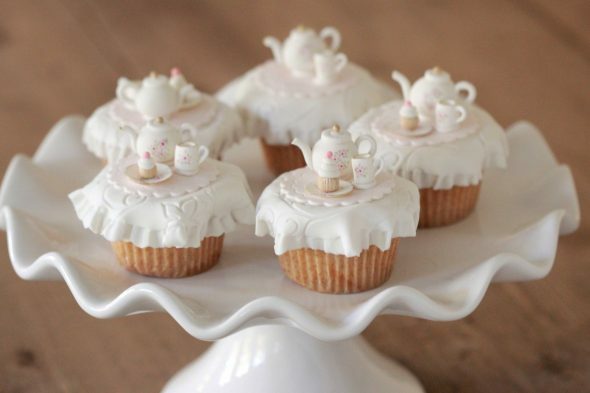 These are too adorable, I cant wait to make them! How many servings does this recipe make? Can it be halved or doubled? I can not wait to see how you made the toppers! I made these cupcakes and they are delicious! So I wanted to use recipe for a cake…but I can not seem to get the cake to bake in the middle without the top starting to brown/burn. Am I missing something…should I be doing something else in the recipe to change it? 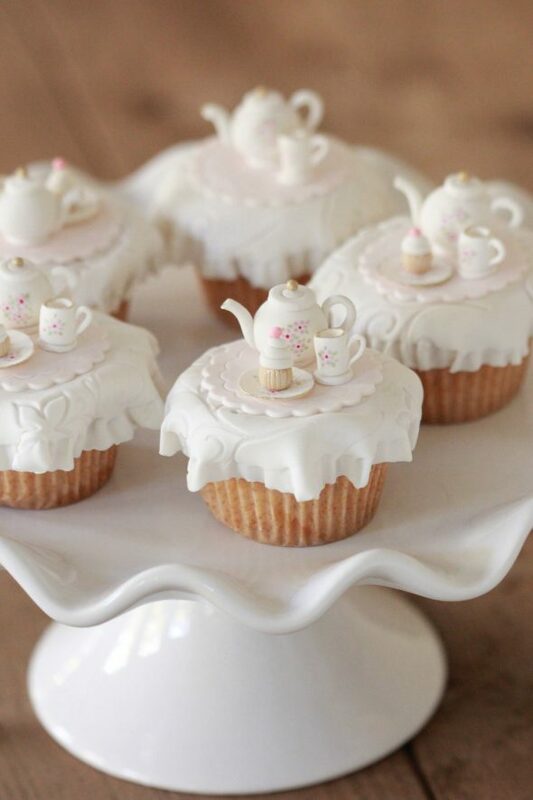 I am not a baker but am interested in purchasing sets of toppers for my personal use in my home. Do you ever make them for the inept? 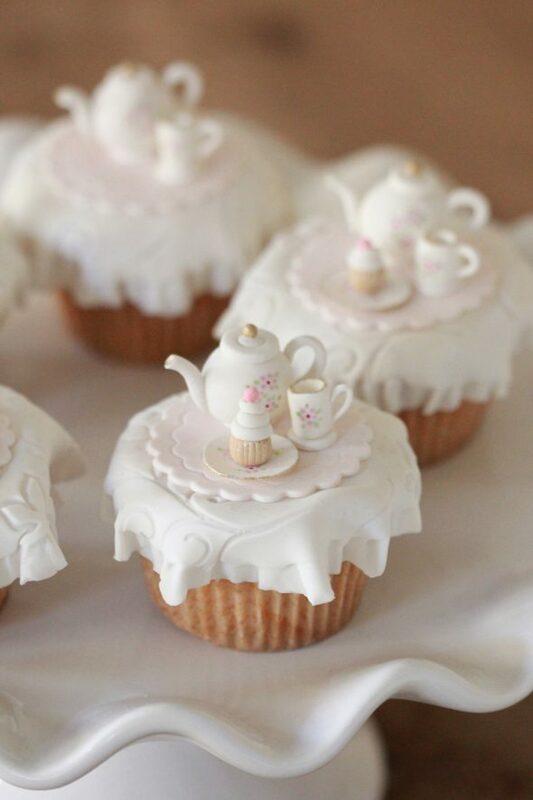 I would love to put them on a faux cupcake in my collection under my lovely cake dome…I have a wee house that I use as my tea room in my yard…it’s quite cozy and very full of fairies etc. These would be precious on display there. Thank you for your consideration and your talent! Stefeni. Did you get a reply regarding purchasing the little toppers? I’m with you. Don’t think I could make them. Also, did not see directions for them. Are the decors edible ? Where can I buy ? They are edible, but I made them for personal use, and don’t sell them, sorry!